Overflowing, pouring in, spilling over. Good words for the waterfall pictured here, our September-October 2011 Where Am I? mystery location. A fitting description, too, for the gush of guesses that filled our physical and virtual mailboxes over the past two months. In all, 917 of you submitted entries, and an impressive 738 were correct. As a group, you’re batting .805 — well done! The mystery location? It’s the Great Falls of the Passaic River in Paterson, N.J. Were you right? 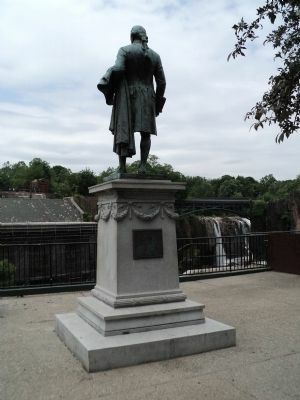 If so, you probably picked up on the reference to the Alexander Hamilton statue overlooking the falls. Give yourself a high-five, and click here for a picture of that statue. Our big winner was Thomas Rottenberg, whose name was randomly selected from those 738 correct responses. The assistant Scoutmaster from Pembroke Pines, Fla., wins $100 to spend at his local Scout Shop or online at ScoutStuff.org. Bummed you didn’t win? Let that motivate you to enter our November-December 2011 contest. Check out Page 46 of Scouting magazine, and click here to submit a guess. We’re accepting entries through Monday, Dec. 19. Good luck!